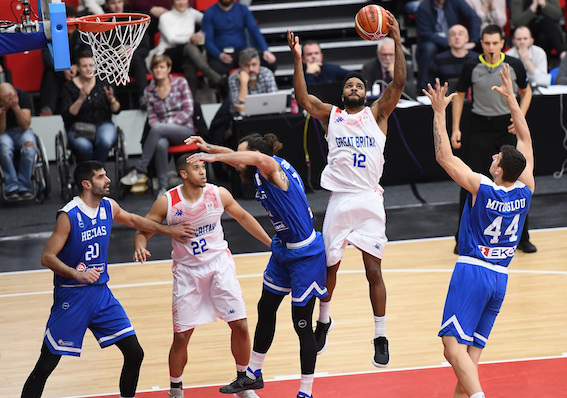 Great Britain were defeated 95-92 by Greece in OT in their opening FIBA World Cup qualifier in Leicester. In coach Tony Garbelotto’s debut, what drama there was. 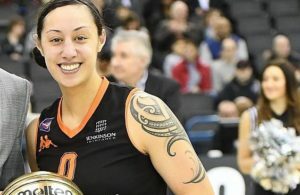 His revamped side were cohesive and competitive, showing immense valour to storm from 12 down in the fourth quarter to force overtime when all looked lost. Their defence, in the heat of battle, was superlative. 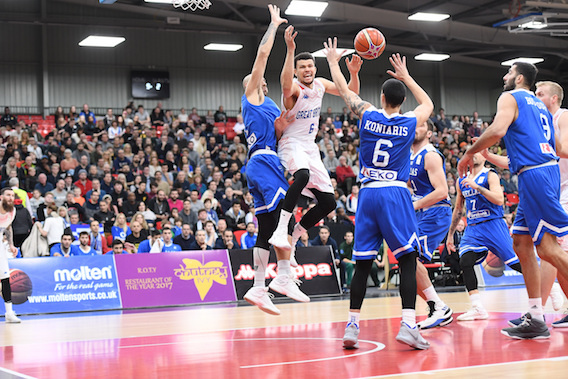 And if the lay-up from debutant Tarik Phillip which concluded a 6-0 run which drew GB level with 0.1 seconds in regulation was vital, the resilience in the extra period was mammoth before a three from Ioannis Athinaiou with 3.4 seconds left in OT proved a harsh but fatal blow as their last possession was snuffed out. “I’m very disappointed,” declared Garbelotto. “I thought we threw the game away. I’m proud of the guys, the way they fought to get themselves aback in the game. “I take responsibility. As much as the coach of Greece can say we had a number of players back for EuroBasket, we had a new coaching staff and a number of new guys. Dan Clark had eight of his team-best 17 points in the opening quarter as the hosts pushed the pace against their group rivals at every opportunity with constant movement creating open looks outside. The pattern was maintained as the lead changed hands constantly before 11-2 run midway through the second, capped by a three from the returning Myles Hesson put GB 30-24 ahead. 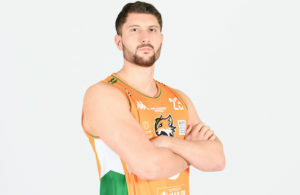 The visitors, depleted by the absence of so many of their leviathans, turned to their captain Ioannis Bourousis for a spark and the centre, who ended with a game-high 32 points, did so much to will his team back into a 37-37 deadlock at half-time in front of a vocal travelling support as turnovers were punished. Yet Garbelotto’s re-jigged roster chipped in on multiple fronts. Gareth Murray notched a three off a glorious feed from Ovie Soko and then Clark hit from long-range in an 11-2 run that extended the home cushion to 48-41 and forced Greek coach Thanasis Skourtopoulos into a time out. He got the desired response. 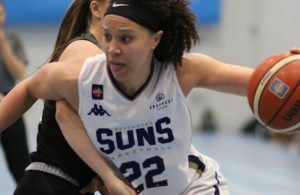 Nine unanswered points quickly came, the visitors exploiting their size inside offensively and closing ranks at the other end. The momentum carried into the fourth with a further 14-4 run that extended their advantage as much as to 75-63. Even with a bite into their lead, it looked all over, especially when Bourousis dunked with 52 seconds left to put his team up 83-74. An astonishing rally came, ignited by pressure defence and sheer opportunism. Murray converted a tip-in and then Okereafor grabbed a precious steal and fed the Glasgow Rocks swingman for the breakaway dunk. Bourousis then was forced into a turnover as the clock neared zero with Andrew Lawrence, all calm under extreme pressure, handing off to Phillip to complete a 9-0 flurry that doubled as a shock retort. “After a very good fourth quarter, the last three minutes and when we got nine points difference, we tried to destroy everything we built,” Skourtopoulos declared. “Alright I understand, I know that my players are under a lot of pressure. Roof raised, GB kept aiming high. Murray nailed another three. But in a game of small margins, it came down to one last run with Greece scoring the game’s final five points with Athinaiou the assassin. Soko, in only his second international appearance, added 13 points and a game-leading nine rebounds before fouling out with 0.8 seconds remaining in the contest after a play intended for the Spain-based forward was stifled. Elsewhere in Group H, Israel defeated Estonia 88-68. GB visit Tallinn on Monday.